Do you have a cedar roof protecting your home? Do the cedar shingles look uneven, colorless, or covered in some type of moss? If so, your roof is probably warped and in need of a treatment to help restore it. But what causes a cedar roof to warp like this? Why is My Cedar Roof Warping? When a cedar roof is installed, you can expect to have one of the best-looking and best-protecting roofs of any material. However, after about five years, the natural preservatives on the cedar shakes can wear away — leaving the roof exposed to the harsh elements of Mother Nature. When cedar becomes exposed like this, warping and rotting can begin to occur. Just like your skin, the roof of your home can become damaged by being exposed to ultraviolet rays from the sun. Unfortunately, there’s no way for your roof to cover up or go inside. Ultraviolet rays can pierce through clouds, so they’re there even when the sun is hiding. This type of constant exposure will strip cedar roofs of their natural preservatives as time goes on — and unfortunately, there’s no way to stop this from happening. As time goes on and your cedar roof beings to lose some of its natural preservatives, it will become susceptible to absorbing moisture from precipitation and highly humid days. For those who experience roof damage (due to high-speed winds or debris hitting against the roof), the material can become further exposed to moisture and expedite the process of becoming warped and rotted. As a result of excessive moisture infiltration, either moss, mold, mildew, or a combination of the three can begin to grow on top of the cedar shakes (as well as underneath if there’s some roof damage). The presence of moss, mold, or mildew is a sign that there’s an excessive moisture problem that needs to be addressed. As long as the growth continues to exist (because it needs moisture to survive), the more your cedar roof will warp and rot. Homeowners with cedar roofs need to have them treated every five years. This is the magic number to help keep your roof from becoming damaged by the elements while also keeping it looking its best! If your cedar roof is in need of a treatment process, our Cedar-Life division is designed to provide the best in business! Author adminPosted on May 24, 2018 April 30, 2018 Categories UncategorizedLeave a comment on What Causes a Cedar Roof to Warp? When the roof over your head isn’t provided with regular maintenance, roof leaks can occur. You might notice brown spots on your walls or ceilings inside of your home — these are usually a warning sign that there’s a roof leak in need of attention (unless your plumbing has sprung a leak). When you ignore critical gutter maintenance, such as clearing out debris and ensuring there’s enough slope positioned toward the downspout, you should expect to see some roof leaks sooner rather than later. When rainwater falls from the roof to the gutters, gutter debris and improper slope will trap this water, causing it to pool over onto the eaves and edges of your roof. Think of this as a mini-flood at the edge of your roof — eventually, a leak will form. How often do you actually take the time to go outside, walk around your property, and inspect your roof from all sides? This is an important piece of maintenance that should be done at least once per season AND after harsh rain and snow storms. 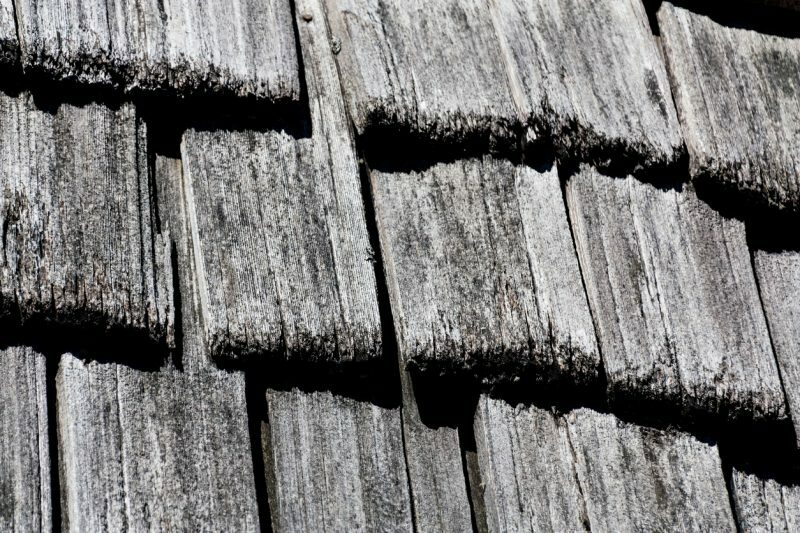 High-speed winds and heavy precipitation can cause shingles to rip off — as well as others to curl or crack over time, thus, breaking off. Missing shingles should be replaced as soon as you notice they’re gone, otherwise, a roof leak can occur as soon as the very next rainfall. 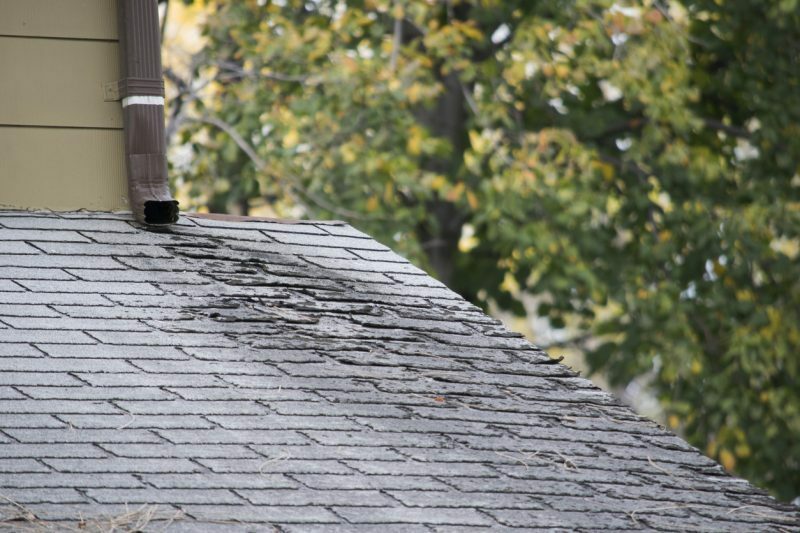 A homeowner that provides their roof with all of the proper maintenance throughout the years can still experience roof leaks if the roof is old and at the end of its useful life. For many homeowners, they will purchase a home and keep the current roof because it most likely has some useful years left — especially if repairs are made right off the bat. However, all roofing materials have their own specific lifespan and when your roof (made up of that material) reaches that age, a replacement will be necessary. Allowing your home to sport a roof passed its useful life is like playing with fire when it comes to impending roof leaks. Roof leaks just don’t worsen the current condition of your roof — they can also cause damage to the structure, walls, and ceilings of the interior of your home. When your home is in need of roof inspections, roof repairs, or complete roof replacements, our pro roofers at Landmark Exteriors will do everything to ensure your home is well-protected! Author adminPosted on May 4, 2018 May 4, 2018 Categories UncategorizedLeave a comment on Why is My Roof Leaking? Moving into a new home is one of the more exciting times in a person’s life — especially when it’s for the very first time! After you’ve taken the time to unpack and settle in, there’s a long list of “To-Do’s” that you’ll need to address. At the top of the list — addressing the roof and any possible concerns with its ability to protect your home. 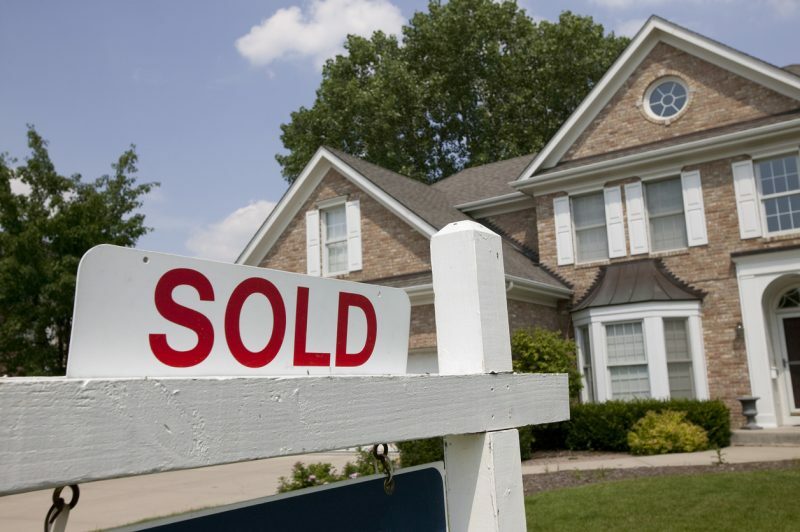 Technically, this is something you should do before you purchase a new home, as buying a new home with a roof that needs replacement can significantly increase the amount you’ll spend right off the bat. However, making it a point to have an annual inspection of your roof by a professional roofer is important. You will be able to identify any possible trouble areas and have them repaired before they worsen, thus, lengthening the lifespan of your roof. When you think of your roof, do you think about your gutter system? If you don’t, then you need to start! The point of a gutter system is to redirect rainwater from the roof to the ground below in a way that won’t cause pooling, flooding, or property damage. Gutters with holes, gaps, and cracks will leak and cause water to pool on the ground, close to the house, resulting in possible foundation damage and erosion. This can cause serious problems for you down the road. Gutters filled with debris (or an improper slope) will prevent rainwater from draining toward the downspout. This water can pool until it begins to overflow onto the edges of the roof. This is where roof leaks, water damage, and rot can begin to take place. With all of the damage your home can sustain without the proper gutter system, you’ll never ignore your gutters ever again! Problems with your roof can arise at a moment’s notice. From storm damage (due to high-speed winds, flying debris, and trees falling) to an intense accumulation of rain/snow-fall to old age — roof problems will make themselves known when you least expect them (especially if you’ve been slacking on maintenance and inspections). Make sure you keep your local roofer’s number in your contact list for when something does go wrong. For those in the local Connecticut area that need a reliable roofer to count on, we’d be happy to fill those shoes for you!